Need work on kitchens and bathrooms in Essex, Greater London or East London? Spenwell General Builders offers a complete range of services when it comes to renovating and adding customised installations to kitchens and bathrooms in Essex and Greater London areas (Romford, Dagenham, Chigwell, Woodford, Ilford, Brentwood, East London). Are you looking to renovate your house and need a kitchen installation complete with any electric, plumbing, and tiling work? Our construction company has many years of experience with a range of styles, sizes and design options, and will help you renovate your kitchen or add new features and apparatus in a way that ensures it is completely functional, as well as take care of many accessories and decorative elements to provide you with a sleek, elegant finish. We can work with all styles and sizes of contemporary and traditional kitchens, and also customize and renovate where necessary, as one size does not fit all, and we want to find the perfect fit for your unique space. If instead of a kitchen renovation, you’re looking to renew your bathroom space, you can count on our experience with bathrooms suites and our familiarity with a range of contemporary and classic designs fitted and adjusted where necessary to your area’s measurements. We can also do more specific tiling, pipe work and plumbing for that range of extra accessories added to your bathroom such as shower units and heating. You can count on quality workmanship and precise technical knowledge with all new installations. If you need your kitchen and bathrooms renovated or modified, call a builder near you. 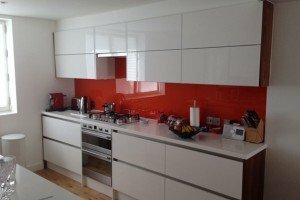 With our many years of experience serving Essex and Greater London (including Romford, Dagenham, Chigwell, Woodford, Ilford, Brentwood, or East London), we’ll be more than happy to walk you through what we can do for your kitchen or bathroom renovation project, working by your side every step of the way to make sure your personal vision becomes a reality, with all safety and durability concerns put to rest. Do give us a call or e-mail us with your renovation ideas and wishes, and we’ll be happy to come by for an assessment and estimate of the price and time necessary to complete the job to our highest standards of quality. Any assessment is completely free and carries no obligation to go through with the project. If you are looking for builders near you that are active in the local community, Spenwell General Builders is the company for you.